Reading research is useful for a number of important personal and professional reasons. 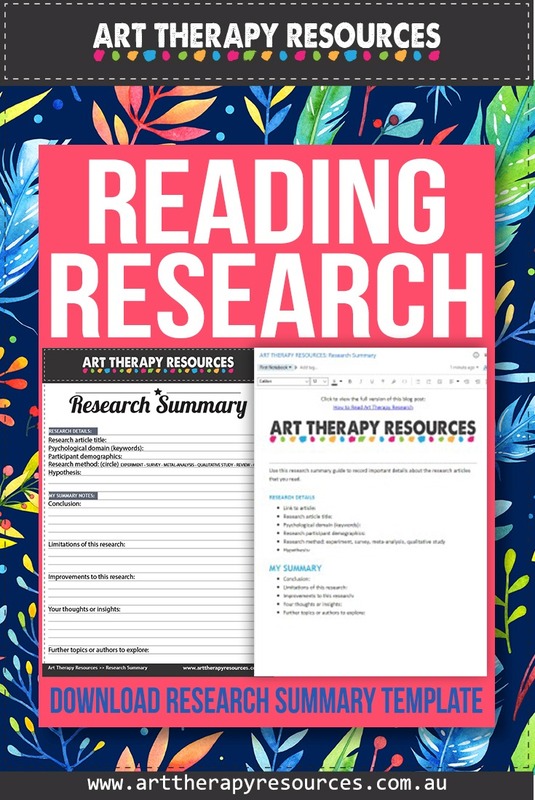 On a personal level, reading research helps you develop critical reasoning skills, expand your vocabulary, and improve reading and writing skills. On a professional level, reading research provides the same skills mentioned above, however, it also helps you develop a deeper understanding of mental health topics that are relevant to your practice. Research helps us enhance our professional domains by correcting the past and exploring the future in terms of improving treatment methods for clients who need help. Below is a list of Art Therapy Journals that are currently published. Click on each name to be taken to the website for the journal/s that you are interested in. Below is a list of general psychology and science journals. Click on each name to visit the website of each journal/s. These websites also provide the ability to create alerts on your preferred topics. You can also read helpful tips on using Feedly, Google Alerts, and Google Scholar to source research articles. We’ve also included some excellent tips on how to save research articles and organise your research information. The blog post includes a FREE DOWNLOAD (either pdf or Evernote) that includes a summary list of the useful links and tips to keeping updated on current research. Reading research articles usually requires more cognitive effort than reading a blog or website articles. Usually, the research article is written with like-minded professionals in mind and therefore can contain a lot of terminology specific to that profession. Additionally, the research article may refer to statistical data which can be difficult to interpret if you’ve forgotten what statistical significance represents. With this in mind, it’s important to understand that it may take you longer to read a research article compared to browsing the internet. This means you may need to read and re-read the research article a number of times to gain a complete understanding of the research question, method and outcomes. If you are simply reading the research article for casual interest, then you can choose to skim through the most important sections such as the abstract and conclusions, however, if you are reading the research article for reference material, then reading the article will take substantially more time and effort. 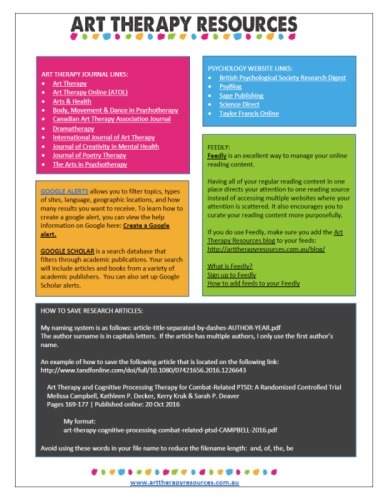 Referencing research – using the material for your own research or content writing purposes. As a guide, look for one main point per section to include in your summary. This is only a guide as your motivation for reading a specific research article may result in you only have interest in one specific section of the article. Review the reference list used for the article to search for any other interesting articles on your topic of interest. Choosing how to record research information will depend on your primary objective for using the content. If you want to steadily build a file of knowledge for professional growth reasons only, then you can use a less structured method of recording information. To record your information you could use a word processor like Microsoft Word, a digitally portable program like Evernote, or a structured writing program like Scrivener. A recommended workflow is to use Evernote to record and collate your research data and use Scrivener to record research notes for the purposes of writing your own content. Evernote is a great option for initial recording because you can access the information from any device after syncing your data over the internet. Evernote also has useful features that will help you collate data as you find it. This includes using the web clipper feature and setting up google scholar alerts that will automatically save research articles into your Evernote account automatically without any intervention from you. If you plan on using the research content for your own content writing, then using Scrivener will be invaluable to your writing process through its robust organisational features. You can read more about the benefits of using Scrivener as a content writing tool in our blog post: Review of Scrivener for Content Writing as a Therapist. You can also download a FREE Scrivener template from the blog post. The items listed under research details can be simple statements taken from the research article itself. The section titled MY SUMMARY should be your own summary of the research article using a few sentences. The information in this section represents the majority of your article content and therefore needs to be summarised into shorter information that you find interesting. If you are going to use the article for reference material, you may also want to include additional information about the authors and journal article. If you are reading for interest only, then you may want to include a link to where the article is listed online so that you can refer back to it later if you need to. 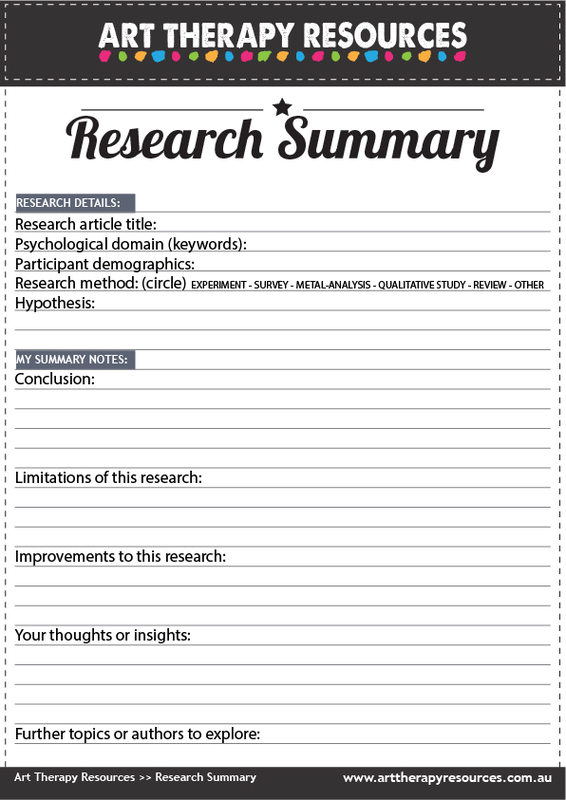 SIGN UP below to download the FREE Research Summary template. You can also access this Evernote document designed to record your research summary details. You can save this note to your own Evernote. You can view the Evernote document even if you do not use Evernote.